Who Said Reading Can’t Be Fun! Check out this new awesome technology tool called Book Creator! 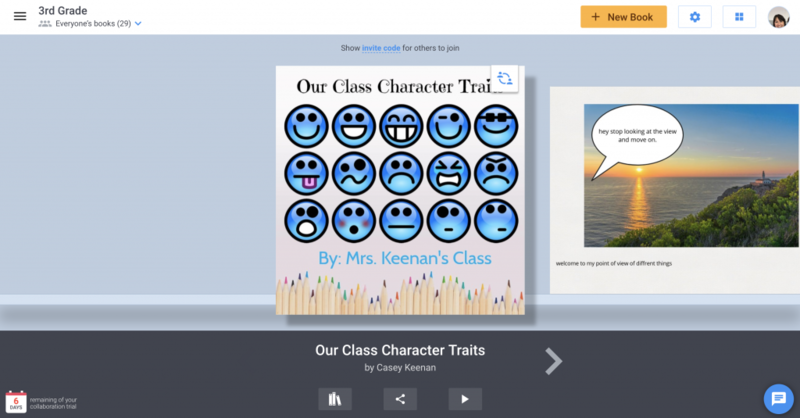 Book Creator is an online application and an app that allows your students to collaborate together or work alone to create an online published book. Using searchable images or photos that they’ve taken from their devices.This awesome Blended learning tool allows your students to create colorful pages of pictures, text, and sound. The students can record their voice to dictate the book or the book can be read to them aloud after it’s finished. 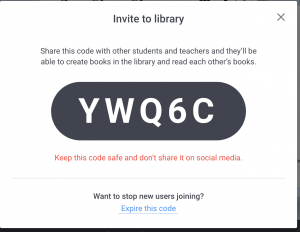 Use a simple QR code or an invite code to have students join your book library. With a free teacher account you can have 1 library and 40 books. Check out these videos I have created on how to get started with a teacher account and then a video on how your students can utilize the tool in the classroom. The student video was made so that the students can watch it and learn how to use the tool without directions from you. Let me know the ways you are using this tool in your classroom and I would love to feature you on my blog. Also, check out this awesome tutorial by Book Creator that shows 50 different ways you can use the application in your classroom! Enjoy!